So much happening here in the City of Adelaide at the moment they call it Mad March. WOMADelaide is an annual world music and dance festival, which was first held in 1992 in Botanic Park, Adelaide, South Australia. 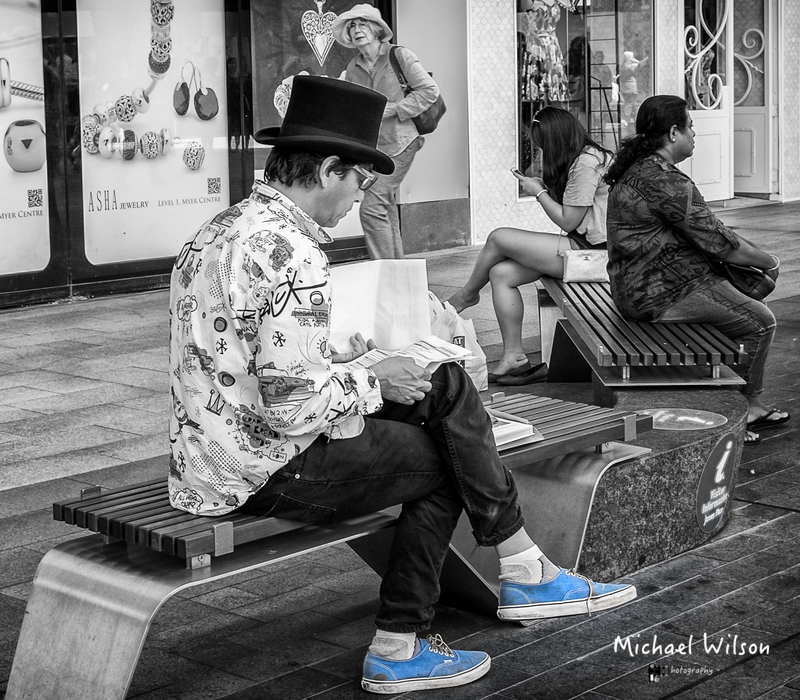 This entry was posted in Photography and tagged Adelaide, Adelaide City Street Scene, Adelaide Street Photography, black & white, City, City of Adelaide, Lightroom, Monochrome, People, Photography, Rundle mall, Silver FX Pro, South Australia, Street Photography. Bookmark the permalink. I love the blue sneakers! It sounds like you have a lot of great things going on to photograph during the March madness of Mad March. I totally love the blue shoes! Great photo! I really like the composition….great work. I know nothing about photography nor the Southern Hemi . . . but those are some awesome legs, especially considering they are unposed. Nice cut-out! You have good work in this blog ;), congrats!